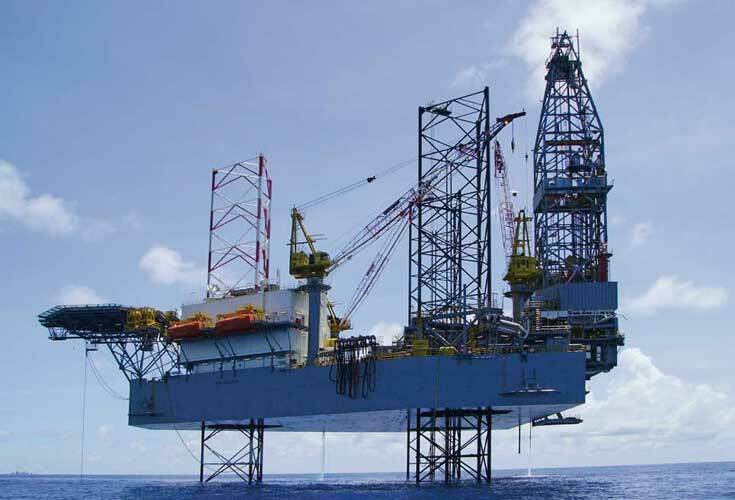 The company Keppel Fels Singapore is one of the leading manufacturers of oil-drilling platforms. The offshore Drilling Unit B289 is equipped with a 690 V, 60 Hz three-phase supply system on board powered by 5 generators 2500 kW each. Three speed-regulated mud pumps of 1640 kW each represent the biggest single consumer. 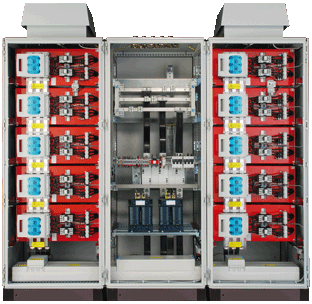 The total harmonic voltage distortion (THDU) is 18.8%. The cos φ should be improved to a value > 0.95 and the THDU should be lowered to an average value < 5% (ABS standard). The space on drilling platforms is highly limited, and the thermal, mechanical and atmospheric stress are extreme. Keppel’s strong quality and safety requirements and the engineering standards of the American Bureau of Shipping (ABS) had to be met. 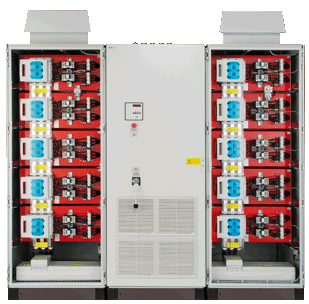 Two automatically regulated filter units of 1500 kVAr each, 690 V, 60 Hz, 5% detuned reactor, consisting of an 2500 incoming feeder and three control cabinets with 5 capacitor switching modules of 2 x 50 kVAr each, with overload switch and freely adaptable number of steps as well as step power. All devices were equipped with a large back-up in line with SYSTEM ELECTRIC’s security philosophy. Special importance was attributed to the air cooling system and the temperature control. The units operate to full customer satisfaction. In the meantime, other drilling platforms have been equipped with filter units from SYSTEM ELECTRIC.